Baltimore Protesters Protest Their Own Success! 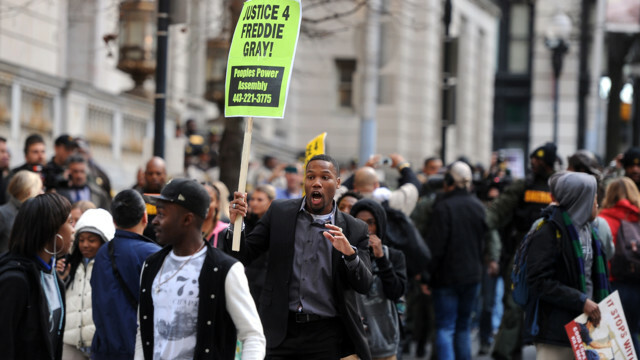 Activists in Baltimore fought to keep the trial of Officer William Porter for his alleged part in the death of Freddie Gray in Baltimore where the jury would to be made up of Baltimore’s citizens … a true jury of his peers. They got what they wanted and Officer Porter was tried in Baltimore. However, the result was not what they wanted. The trial resulted in a hung jury! Of course the activists do not like this result and vow it is not over. Prosecutor Mosby was present in court when the mistrial was declared and she was visibly upset. She’d had planned to use testimony from Porter in their cases against the other officers and therefore is surely quite exasperated at having her grand political agenda thwarted. Prosecutors are in “serious trouble,” CNN senior legal analyst Jeffrey Toobin said. So … protesters in Baltimore will continue to call police officers racist and march in the streets chanting, “No justice, no peace” and, “All night, all day, we will fight for Freddie Gray.” I guess what this really means that these activists define justice as getting what they want … whether it is right or wrong! Previous PostRandom MusingsNext Post“Snapback” My A$$!